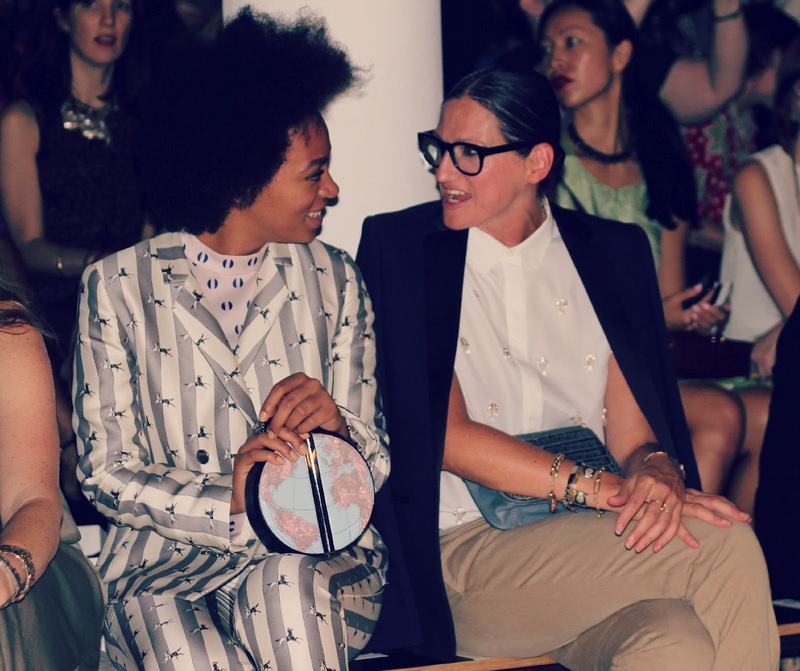 The turnout for the Suno show on Friday night was pretty f*cking fabulous. Chelsea, Kiley and I hovered in the photo pit (our usual spot) and watched as major editors, celebs, and more poured into the small venue and took their seats. Suddenly there was a buzz - and Jenna Lyons and Solange Knowles negotiated their way through the crowd and chit-chatted their way to their seats. The fan girl in me took over, and I was able to wiggle through the shutterbugs and grab the above shot. 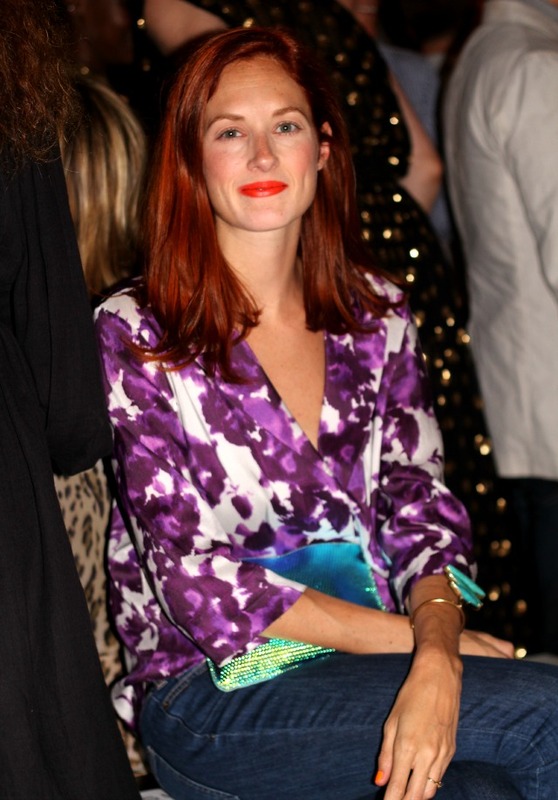 As I made my way back to the pit, I saw my name-twin editor (and one of my style icons) Taylor Tomasi Hill. How beautiful is she? I totally thought of Alicia after looking at this photo because she, too, is rocking this deep, rich red hair color - and it looks so great with her orangey-red lips! Don't you think? It's unexpected and fun. As the seasons go by, I'm getting more comfortable approaching these big names at the shows, and you know what? Every, single person has been so incredible nice. We've been able to interview some major folks like Scott Schuman, Kate Lanphear of ELLE, Susie Lau (of Style Bubble) and Jane Keltner DeValle of Teen Vogue for IFB just by walking right up and asking nicely. How amazing! Totally jealous! TTH is just beautiful! What a gorgeous picture of TTH! Her jacket and cuff are stunning. Thanks for sharing these snaps!